You might have seen Thuja before, but you are not just aware of what it is. Thuja is a decorative plant that has also been utilized for its essential oil. It can treat various illnesses, especially when it comes to the homeopathic systems of medicine. 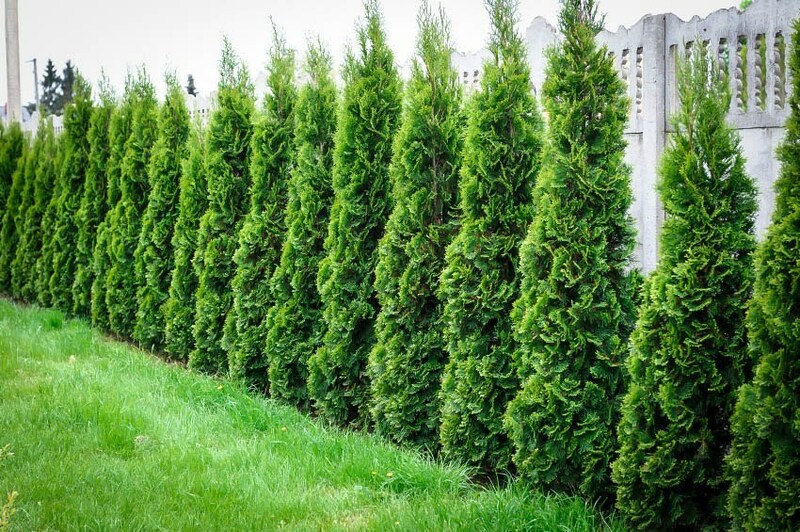 You can easily find Thuja in parks and gardens since it easily improves the appearance of these places due to its visual appeal. One of the reasons behind its popularity is its smell. It has a similar scent with that of crushed Eucalyptus leaves. Thuja belongs to the coniferous tree family. The plant is common in Northern and Eastern regions of Canada along with the northern part of the United States. You can see the tree being used for decorative purposes too. Its leaves and branches are usually extracted as essential oils. Despite its nice smell, it is advised to avoid excess inhalation as it could lead to harmful effects on the respiratory system. Most people think of Thuja as just a decorative plant. It looks good and it smells good. The truth is that it has more health benefits. There are even places where it is referred to as the tree of life considering all the positive effects it does to the body. The literal translation of Thuja is to fumigate or to sacrifice. This is why historically; it has been used for various religious ceremonies as a way of venerating gods. Its bark was also used for sculpting religious objects. The essential oil was eventually discovered and more people have appreciated it for the health benefits they get. In the Northern part of America, Thuja Essential Oil was first used by the American Indians. They have claimed that Thuja has properties that can help treat insomnia, cold, eczema and dandruff. The leaves were also utilized. They were used for treating cold, indigestion, fever and headache. Currently, Thuja is just sourced from Canada by an environmentalist who steam distills the plant. There is an effective and environment-friendly way of harnessing the plant’s essential oil. Its homeopathic benefit has was discovered in the 1870’s and until now, researches are going on to find out more about the health benefit this plant offers. Thuja Essential Oil as Stress Reliever. Its aroma therapy helps a lot in relieving people from stress and anxiety attacks. Thuja Essential Oil as Insect Repellant. It helps fight off insects and let them stay away from people to prevent insect bites. Mosquitoes and cockroaches can be killed when they ingest this essential oil. Thuja Essential Oil as Relief from Menstrual Problems. Some women suffer from regular symptoms of menstruation, including nausea, fatigue and abdominal pain. The oil helps improve their conditions and makes them feel better. Thuja Essential Oil for Wart Removal. You don’t have to undergo surgery anymore since this essential oil can be used for treating warts. It takes some time to see results. 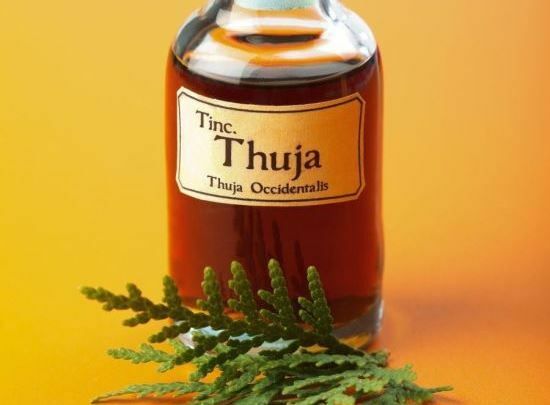 Thuja Essential Oil as Remedy for Skin Disease. Eczema, acne and psoriasis are among the skin problems that are treated with the help of this essential oil. Thuja Essential Oil as Treatment for Rheumatism and Arthritis. Older people suffering from the harsh effects of muscle and bone injuries will find relief when this essential oil is used. It should be applied directly to affected areas. Thuja Essential Oil as Detoxifier. It eliminates excess water and unwanted chemicals in the body. You will feel fresh once you have used this essential oil. Thuja Essential Oil for Improved Blood Circulation. It is perfect for people suffering from high blood pressure and other heart related problems as it helps improve the flow of blood in the body. Inhalation of excess essential oils could lead to poisoning. It smells good so it is tempting to get more of it, but it is highly discouraged. It should also never be taken internally as it is highly toxic and could damage the digestive and reproductive systems. Pregnant women are also not advised to use the essential oil as it could affect the formation of fetus. It is best to consult with your doctor first before using it. There are a lot of ways to make the most out of Thuja Essential Oil. You may inhale it directly as long as you don’t overdo it. You can use a diffuser to improve your mood and also repel insects. You may also use it topically. This is perfect for treating various skin and muscle problems. Just make sure to dilute it with another essential oil. Another way is to add a few drops of the essential oil to a hot compress and place it on your stomach to ease stomachache and menstrual cramps. You may also add a few drops on your bath to have a better bathing experience and feel more relaxed. There is an environment-friendly way of extracting the essential oil from Thuja. It is basically a coniferous tree and so you don’t want to remove the parts used for making essential oils for that purpose. The leaves and branches are usually used in the process. They go through a process called steam distillation. Once the essential oil has been extract, the remaining pulp is recycled in order to create paper. Even the water used in making the essential oil can be purified so it can be used again. 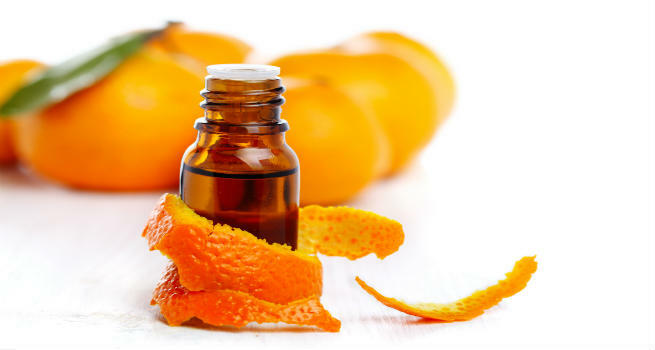 The essential oil is deemed perfect for removing wart. It is a tough process and it involves many other essential oils. To make a recipe, use 12 drops of Thuja combined with 6 drops of lemon, 3 drops of crypress, 4 drops of tea tree and 4 drops of oregano essential oils. Blend them well until you get the right mixture. Jojoba or sweet almost oil may also be added for better scent. The mixture must be applied using a q-yip at least 2 times a day. Keep doing it until the wart is gone. It usually takes 3 weeks to start seeing gradual changes. There is no guarantee that the results would be great, but it is better than undergoing surgery. You can look for this essential oil online. Considering the fact that it is not widely distributed and the source is located only in a very specific place, you might have a hard time looking for it in local stores. It helps if you go online and check out sites like Bio Finest. If you want to blend it with other essential oils, it would be great. Tangerine, geranium, frankincense, tea tree and lavender are among the best blends. Although it smells good, don’t be tricked. It is highly toxic. This is why it is not advisable for direct inhalation or for ingestion. Don’t diffuse the essential oil for more than 20 minutes as the results could be negative. It starts to become toxic instead of making the place smell good. For some reasons, people believer that this essential oil also has spiritual benefits. For instance, it makes more people do better. They become stronger, more courageous and better in controlling their emotions. Some studies showed that the essential oil may also be used for treating even some of the most serious diseases like Hepatitis B and C, and AIDS. If you are into meditation, place the essential oil at the back of your neck before meditating so you will feel more relaxed. It would be easier for you to focus and achieve your goals.